Prepare yourself for one of the deepest wrestling experience in video games! 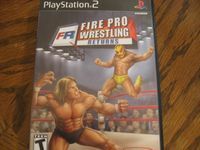 Fire Pro Wrestling Returns has more moves, match types and customization options than any other grappling game on the planet. Recreate classic matches and dream matches, or go wild and build your own wrestling league. With Fire Pro Wrestling Returns, your options are truly endless!